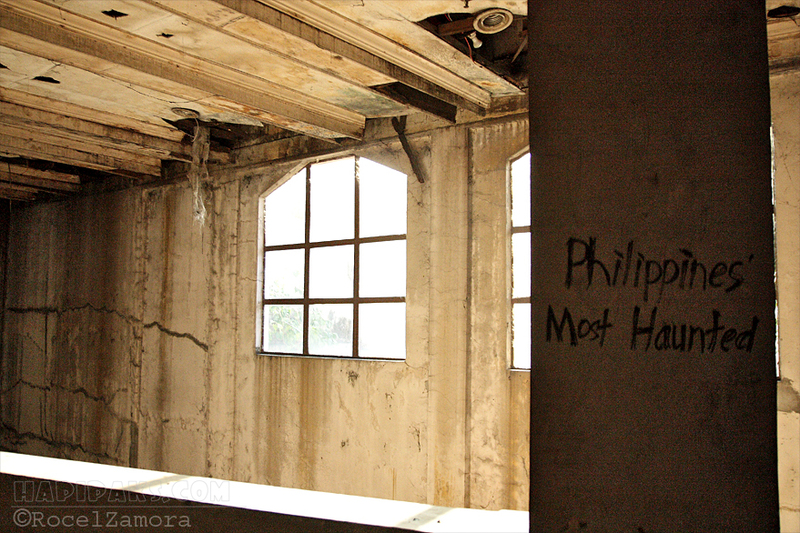 We had a free tour of Manila sponsored by Filipinas Stamp Collectors’ Club which is held every 3rd Sunday of the month. 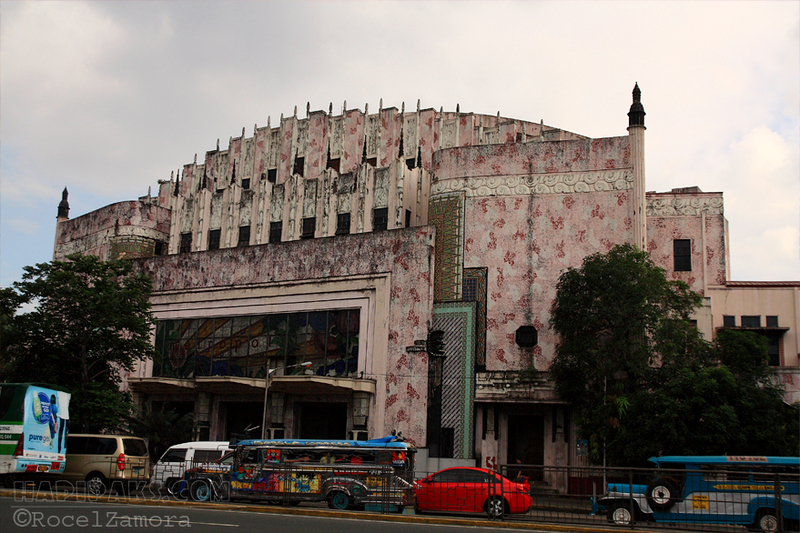 One of the stops was at the Manila Metropolitan Theater (MET). MET was almost pitch black, dark inside. 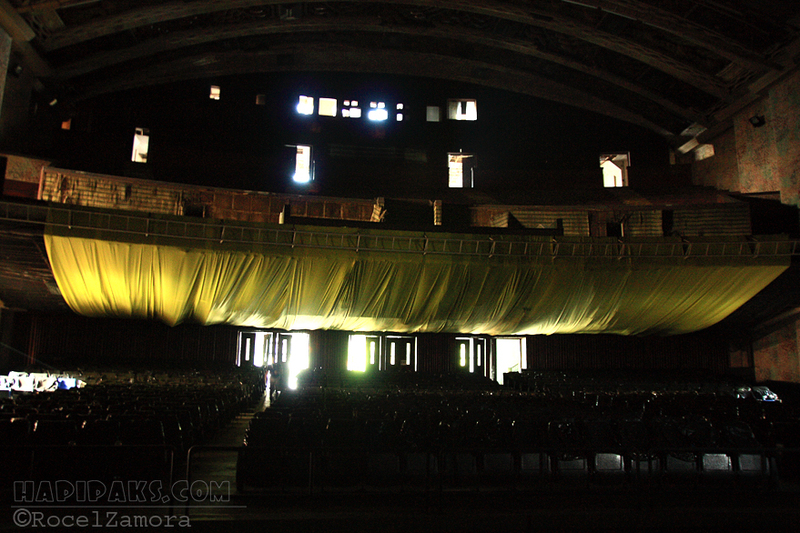 Chairs were covered in black garbage bag and a thick layer of dust was blanketing the floor. 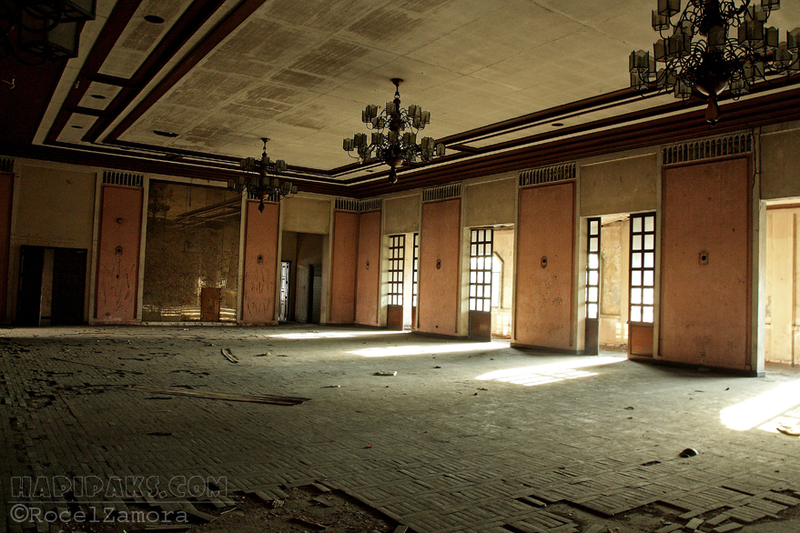 It was said that the MET is one of the most haunted places in the Philippines. It feels like something was lurking in the dark. When we were taking shots at the balcony area, there was suddenly a wisp of white figure that seem to cross the aisle then disappeared. Two of us at the area looked at each other in disbelief – “Did you see that?”, I blurted out, as he nodded. Ravaged during the world war II. 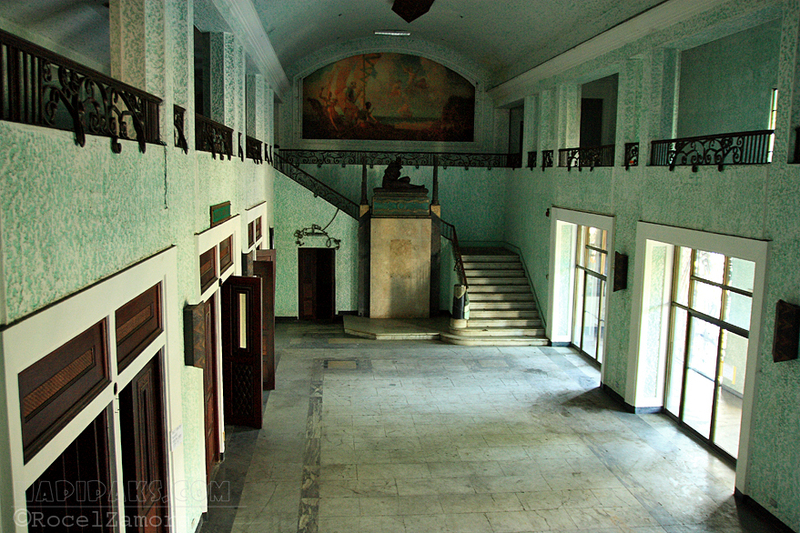 It was again restored during the time of the Marcos’s reign. “The Ballroom” inside the MET, even with its dilapidated floors, the hanging chandeliers still indicate the grandeur during its heyday. The lobby of the MET. Overlooking the facade across Lawton. It will take a lot of time and resources to restore it. 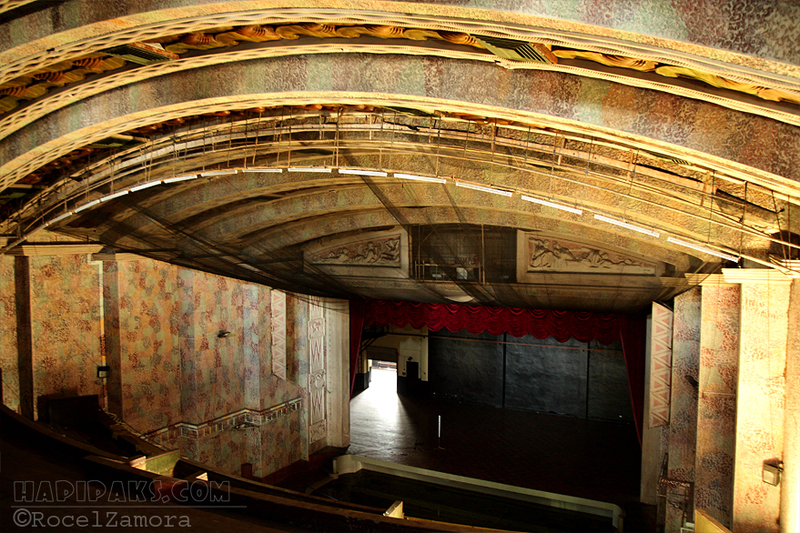 But even with its current condition and that “eerie” experience, the Manila Metropolitan Theater is still reminiscent of Juan Arellano’s grand, art deco architecture that once made Manila a stand out city in Southeast Asia. hi , im a graduate student writing a thesis called dark tourism in manila , in hopes that dark tourism may help revive splendid heritage places such as MET. may i use your photos for my research?thanks a lot! Hi john, pls. PM me or send me an email for the details. Thanks! Hi! I was wondering if we could use the photos for a story? Please let me know how i can get in touch with you. Thanks!